If you missed my announcement last month (or my video a few weeks ago), my life has prominently been changed since joining the Shaklee 180™ blogger program. The Energizing Tea, Smoothee Mix, and Meal and Snack Bars ensure that this is not only a meal replacement program, but a clinically tested, breakthrough approach to weight loss. These products are not only designed to boost my metabolism, they are also going to help retain muscle and remove belly fat at the same time! It has been eight weeks since I vowed to turn my weight loss woes around and, believe it or not, I am still just as enthralled with these smoothees as I was at the very beginning. Seriously, the Hamilton Beach Single-Serve Blender is my favorite single-size blender ever! 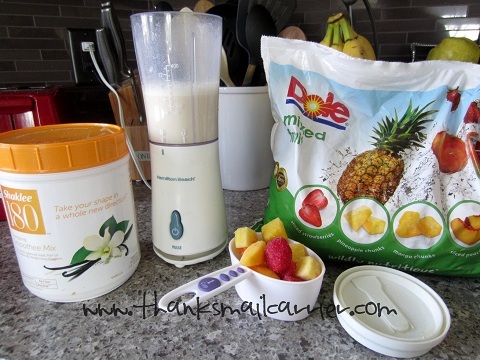 As well as the HUGE variety of flavors and recipes that I've tried, I have to admit that I also still love the concept of mixing up a quick meal right in my blender. For someone who has no willpower and will go overboard clearing my plate simply because it is there, drinking my breakfast (and often my lunch) actually comes as a relief. No pacing around the kitchen wondering what I'm going to have, no measuring out perfect serving sizes of cereal or oatmeal or pasta, no stress over what is going to tempt me when I open the refrigerator, just reach for my Shaklee 180™ and know that my body is getting everything it needs. But while I have been able to withstand most of the temptations that my family has provided these past eight weeks, I've come to realize that my biggest challenge seems to be blogging. When every one of those food reviews are posted, I've had to eat all of the deliciousness for myself, right? 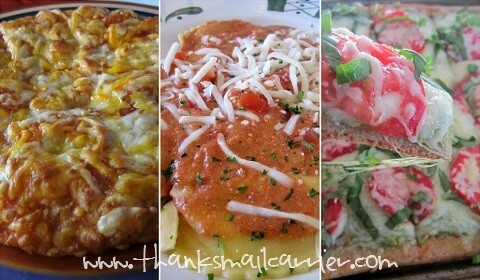 How can I tell you that Totino's Party Pizza, the Mezzaluna Ravioli at Olive Garden and Pesto Pizza made with Pillsbury Artisan Pizza Crust are rich and delicious without devouring them for myself? 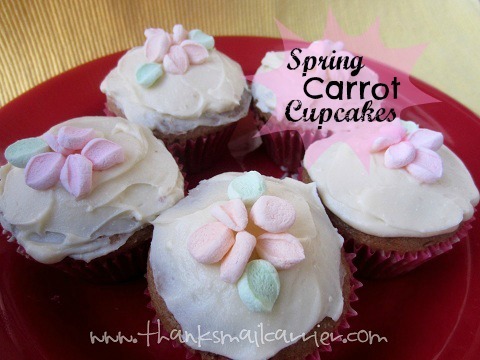 Don't even get me started on the Carrot Cupcakes. I'm too ashamed to tell you how many of them I ended up eating myself, even though the kids did their best to help out. As well as my reviews, as calorie-laden as they were, my biggest eating challenges this month have been eating away from home. If you read my post on visiting the Step2 Headquarters recently, then you saw a glimpse of the incredible meals that they fed us morning, noon and night. 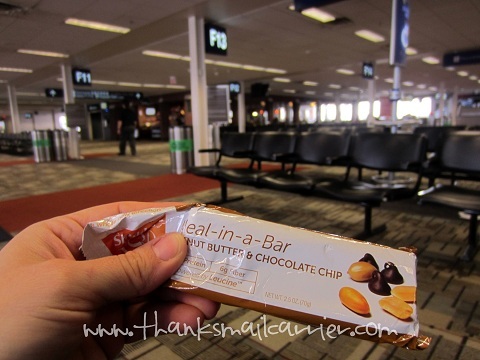 Of course I had packed a bag with my Shaklee 180™ Meal and Snack Bars, but was there any way that I was going to pull one out and eat it instead of plates that looked like these? As if Step2 wasn't generous enough with all of their delicious meals, while you're reading this, I'm in Lancaster, PA at the Auntie Anne's Headquarters. That's right, Auntie Anne's, home of the most decadent, handcrafted, freshly-baked pretzels around. Let's just say that when they sent the invitation, they included this line to give me a hint at just how many of these pretzels we would be eating: "Bring your taste buds and stretchy pants." Am I slightly frightened to get on the scale at the end of this month to see what the results are from April? However, am I still extremely confident that the Shaklee 180™ program is going to help me reach my weight loss goals little by little? 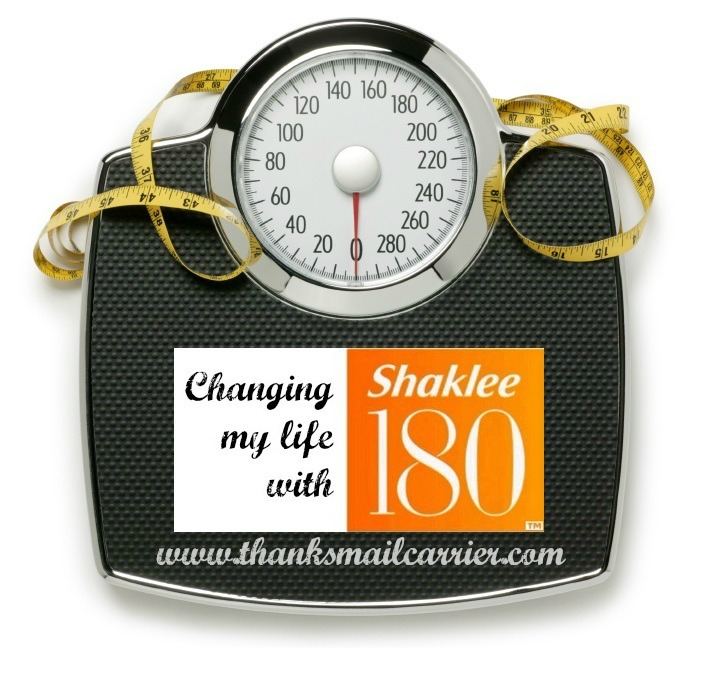 No matter where I am or what is going on in my life (or the excuses that I come up with to blame my poor eating choices on), Shaklee 180™ is helping me feel better about myself day after day. As I said last month, this is the last weight loss program that I hope to try, as I'm determined to get these pounds off and keep them off. If you'd like to find out more about the Shaklee 180™ program, connect with them on their website, Facebook, Twitter and YouTube. I can totally see why you get off track...I would too! There's nothing wrong with a splurge here and there, though. You have lost 12 pounds and that is totally awesome! Keep it up! The Meal in the Bar ..bar looks really good but I would like something with it..Great for you with the weight loss though that is awesome! I have no self control so I would be tasting and eating everything! Wishing you good luck with your determination. First of all, NO ONE can say no to Auntie Anne's pretzels. You're only human. NO ONE can resist that. Second of all, that shake you made sounds awesome. I have that little blender and it's also great. I like the portion control that the shakes give you - no over eating with them. I've heard great things about this program & 12 pounds, wow! That is awesome! This program sounds great thats my problem with eating breakfast and lunch i usually end up skipping meals because i cant figure out what to eat but this would take all the guess work out. I keep seeing this program mentioned in various places, it's good to know that it really does work! My most challenging right now is visiting friends where they invite us for dinner. My BFF made empanadas the other week, with nachos and cheese, brownies and chips and dip. Um, how can I say I can't eat that stuff. But I did, and brought a chicken salad along. I feel bad, but it is my new life. And yeah making foods for my family looks so good. I just wish they'd eat healthy with me. This sounds like a good program for those who need to start somewhere! 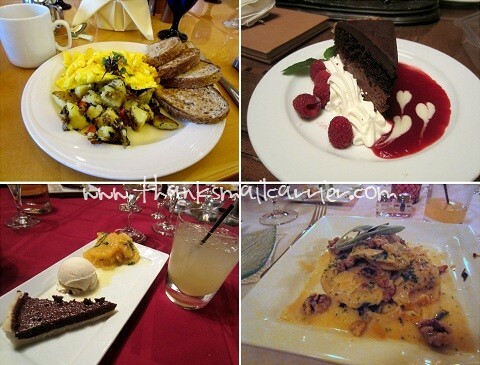 I noticed when I enter alot of blog giveaways or read reviews of food products I seem to get the munchies. That is so bad for me now that I found out I am diabetic! Try to life healthier! I have lost over 30 pounds in 3 months! 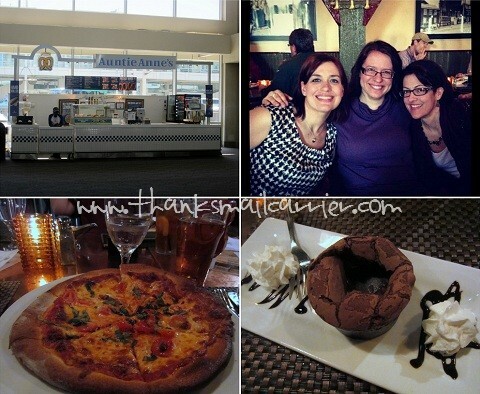 The airport and travel temptations sure can be hard! Way to stay the course and great job on your weight loss! I blame my weight gain on the fact that I sit at the computer all day and the people in my office keep bringing goodies...the real reason is that I eat too much. I appreciate that you are sharing your journey to weight loss.